As designers or creatives in general, presentation is key. Every single detail is taken into consideration, right down to the font. The font chosen determines the tone of your “presentation”, the legibility and even as far as the personality of your subject matter. Looking through the internet on information about font, I discovered that this more artistically based display has turned to the realms of mathematics and science to determine the best fonts for headings, body, emphasis, and legibility are. I learnt that legibility and readability, though linked are not one and the same. Now, there are also another forgotten factor, if only because it is so blindingly obvious, to take into consideration: Font personality. The actual appearance of the font, whether it be serif, sans serif, bold or italic (and not matter what the words say) emit a certain mood. Consequently it can change the efficacy of your document. I don’t write my essays in comic sans for a reason. First of all, I have to mention that I quite like the default font setting for my theme, and as previously mentioned in the theme post it was one of the reasons I chose this theme. Nevertheless, if I were given a choice to change my fonts it would be to the following. It is too strong, and doesn’t go with my choice of font for the body of the post. For this reason I chose a lighter font that is simpler yet still maintains the decorative features that I’m attracted to: Breathe font by Maximiliano Sproviero, 2010. It was beautiful, readable and with minimal embellishments. 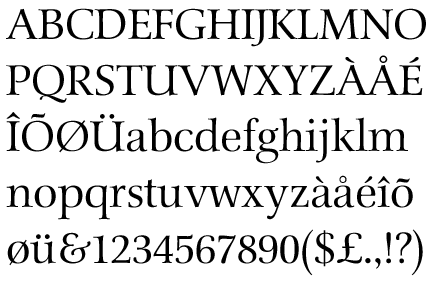 After searching through Identifonts (which is brilliant in searching for fonts) I found my match: Schneider Antiqua BQ light font by Werner Schneider, 1987.